In anticipation for my trip to France, I have been purchasing some new traveling essentials. I stumbled upon the company, Flight 001. They specialize in chic and cheeky travel items from whimsical passport cases and pouches to functional luggage. I have been coveting this pouch, eye mask and colorful suitcase for my upcoming trip! Have you ever heard of Flight 001? I travel transatlantically all the time. I am purchasing these today! These are ADORABLE. 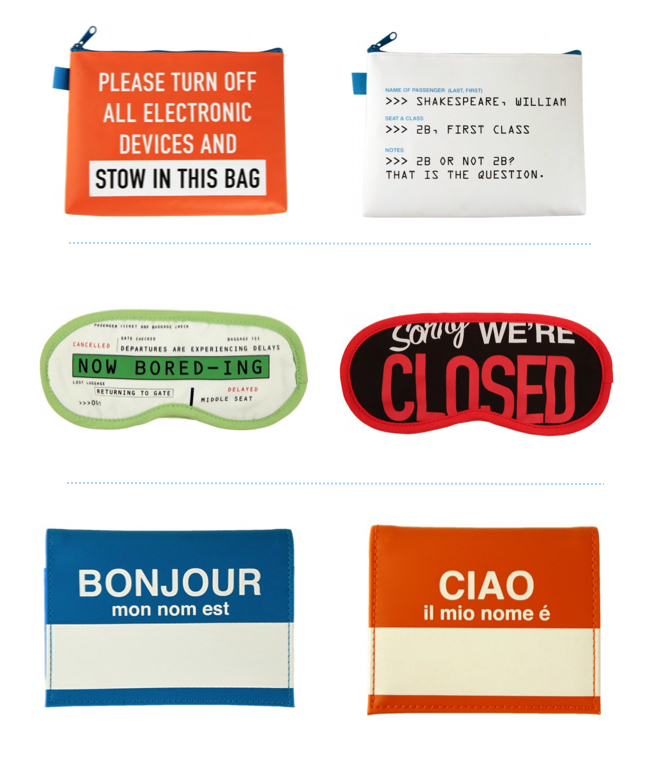 Thanks for this post--- I need one ASAP (particularly the eye mask). Have fun in France! I am obsessed! I leave for France in August! Still plenty of time!